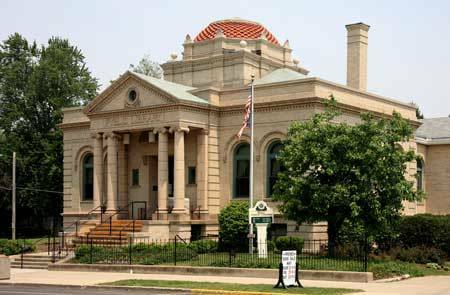 GALION — On May 17, Galion Public Library will switch to a new circulation system which looks to be a step forward for their patrons and staff. The new system will be part of a larger system coordinated with 11 other libraries known as the Consortium of Ohio Libraries, or COOL. The Marvin Memorial Library in Shelby and the Mount Gilead Public Library are also part of COOL. Starting on Monday, May 14, access to the library catalog or any patron accounts will not be available to staff until the switch-over is completed Thursday, May 17. While patrons will be able to check out selections during the conversion, staff will not be able to check in books that are returned until the Evergreen system goes live next Thursday. Eckenrod is quick to point out that while the new system may look a bit different, there are some great advantages. Another advantage for patrons will be the convenience of using a personal computer to put holds on books that are in at Galion, rather than have to come in and hope that no one else has taken it out. If a copy is unavailable at Galion Public Library, the system will automatically order you the same title from another library.